Consistently praised for her brilliant technique, tonal beauty and superb musicianship, Canadian pianist Angela Cheng is one of her country’s national treasures. In addition to regular guest appearances with virtually every orchestra in Canada, she has also performed with the Alabama Symphony, Buffalo Philharmonic, Colorado Symphony, Houston Symphony, Indianapolis Symphony, Jacksonville Symphony, Louisiana Philharmonic, Saint Louis Symphony, San Diego Symphony, Syracuse Symphony, Utah Symphony and the Israel Philharmonic. In the spring of 2012, Ms. Cheng made her highly acclaimed Carnegie Hall debut with the Edmonton Symphony. She also made her debut at the prestigious Salzburg Festival in a recital with Pinchas Zukerman during the summer of 2012. Highlights this coming season include the National Arts Centre Orchestra in Ottawa, Sinfonia Toronto, Vancouver Symphony, and the Winnipeg Symphony. In 2009, at the invitation of Pinchas Zukerman, Ms. Cheng toured both Europe and China as a member of the Zukerman ChamberPlayers. She joined them again in the spring of 2010 for a U.S. tour, which included concerts at Kennedy Center in Washington, D.C. and the 92nd Street Y in New York. Subsequent seasons have seen multiple tours of Europe, Asia and South America, including performances at the Musikverein in Vienna, the Concertgebouw in Amsterdam, and at the Schleswig-Holstein, Salzburg and Ravinia festivals. 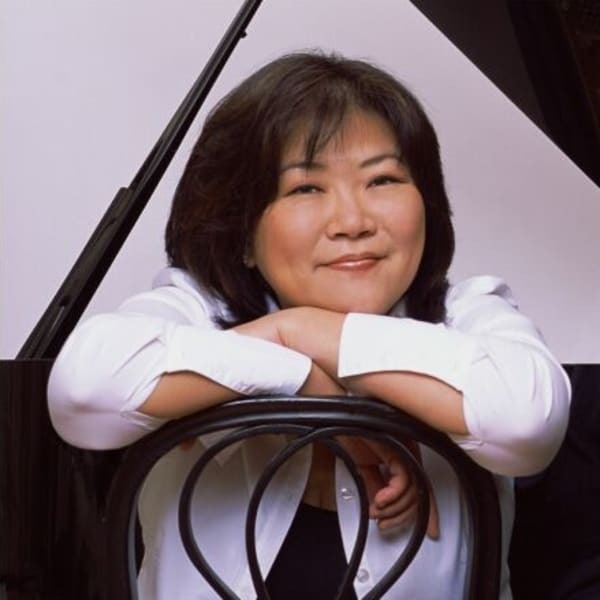 An avid recitalist, Angela Cheng appears regularly on recital series throughout the United States and Canada and has collaborated with numerous chamber ensembles including the Takács, Colorado and Vogler quartets. Her festival appearances include Chautauqua, Banff, Colorado, Houston, Vancouver, the Festival International de Lanaudière in Quebec, and the Cartegena International Music Festival in Colombia. Ms. Cheng's debut recording of two Mozart concerti with Mario Bernardi and the CBC Vancouver Orchestra received glowing reviews. Other CDs include Clara Schumann's Concerto in A minor with JoAnn Falletta and the Women's Philharmonic for Koch International; for CBC Records, four Spanish concertos with Hans Graf and the Calgary Philharmonic, both Shostakovich concertos with Mario Bernardi and the CBC Radio Orchestra, and a solo disc of selected works of Clara and Robert Schumann; and, most recently, an all-Chopin recital CD released by Universal Music Canada. Raised in Edmonton, Alberta, Angela Cheng has been Gold Medalist of the Arthur Rubinstein International Piano Masters Competition, as well as the first Canadian to win the prestigious Montreal International Piano Competition. Other awards include the Canada Council’s coveted Career Development Grant and the Medal of Excellence for outstanding interpretations of Mozart from the Mozarteum in Salzburg.